2016 Ford F-250SD XLT DIESEL 4X4 Clean CARFAX. 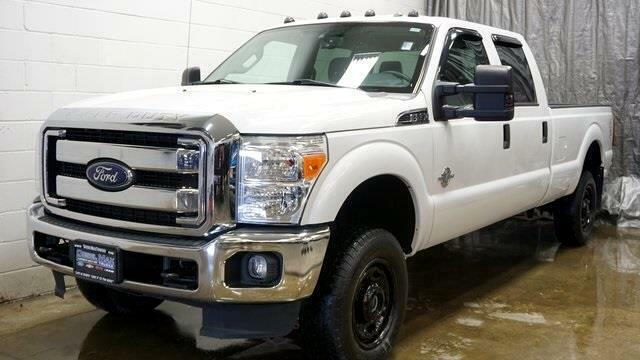 F-250 SuperDuty XLT DIESEL 4X4, 4D Crew Cab, 172" Wheel Base, Power Stroke 6.7L V8 DI 32V OHV Turbodiesel, TorqShift 6-Speed Automatic with Overdrive, 3.31 Electronic Locking Axle, 9,900 GVWR Package, PTC Supplemental Heater, Skid Plates, Extra Heavy Duty Alternator, Bumpers Chrome Front and Rear, Grille Chrome, Pickup Box Tie Down Hooks, Stop Lamp High Mounted Center, Tailgate Removable with Lock, Tow Hooks, Grab Handles Driver and Passenger, Rearview Mirror Day/Night, Sirius XM Satellite Radio, SYNC Voice Activated System, Tachometer, Dual Vissors, Air Condition, ABS Power 4 Wheel Disc, Power Equipment Group, Heavy Duty Shocks, Stabilizer Bar Front, Power Steering, Trailer Brake Controller, Trailer Tow Package, 4x4 System, Driver and Passenger Air Bags, Passive Anti Theft System, SOS Post Crash Alert System. Specializing in all makes models of trucks both diesel and gas. We have vehicles that no body else does. Please call us directly at (330)765-1200. Message: Thought you might be interested in this 2016 Ford F-250 SD.